While I was finishing up my master’s degree in electrical engineering 15+ years ago, I started preparing for interviews. I can’t recall what website I was reading regarding interviews, however, I found that whatever I had read regarding salary negotiation has been extremely useful time and again. It was useful then and it is useful now. Sound principles are timeless in nature. They are like the laws of physics, they work every time with absolute certainty! The strategy that I am about to share has worked for me. As a people manager, I have hired several people over the past several years. Only very few people have actually used the salary negotiation strategy that I am about to share. Let us cover the first things first – I would like to set the context before I go into sharing the salary negotiation strategy. It doesn’t matter if you are an experienced person looking for another job or a fresh college grad looking for your first job. Here is my bottom line assumption – you are hard working, passionate about your work / field, and consider work as a rewarding experience. You attended an interview and your perception is that you did really well. I also presume you wrote a “thank you” note to the potential employer for taking the time to interview you. I always looked for a “thank you” email from a candidate I interviewed. It was part of my checklist. If all of the above is true, then you are just waiting for the phone to ring! What Do You Expect in terms of Salary? This is the million dollar question – how you answer this question determines your paycheck. I have hired many people fresh out of college and people who have been in the industry for years. or plain here is what I am making now and this is the range I am looking for. While all of the above responses aren’t necessarily bad answers, there is a better response you could provide and it has worked really well for me. If you gave any one of the standard responses above, you just made the life of the human resource and hiring manager very easy. As a hiring manager, I look for evidence of trust and competency. If these two requirements are met, that means I needed to have this candidate on my team as of yesterday. Good people with competency are hard to find! Ask any people manager, they will tell you that! When I find a good candidate, I want to hire that candidate – it is that plain and simple. 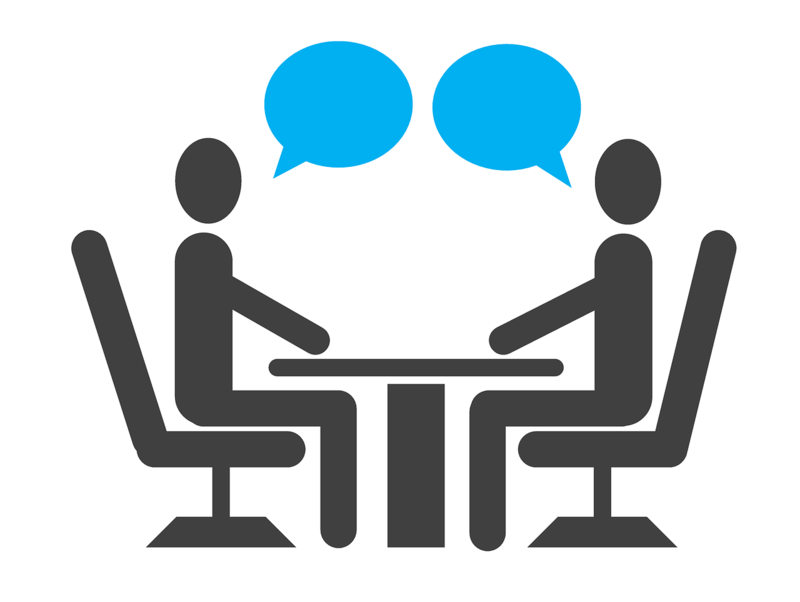 Based on the interview, I have a good understanding of trust and competency based on my conversations with you and the feedback from the team of people that interviewed you. If you mentioned a target salary or range at the time of interview, my job is super easy. If you are worth it and meet the job requirements, I will make an offer and just hire you for what you asked for as long as it falls within the HR guidelines. Based on how well you did at the interview, I may have wanted to offer you 10% more than what you asked for. Since you asked for less, the deal was made for less. You are happy because you got what you asked for. However, you didn’t get what you could have gotten. While expressing the desired salary is not necessarily a bad answer, there is a better response you could provide and it has worked really well for me. I will go through two scenarios – one as a college graduate with no experience and one as an experienced hire. Let me show you how it worked for me in both scenarios. When I was asked this question the first time by HR, my response was a smile and “I am open“. This response drives HR nuts. They asked me again – “What do you expect in terms of salary?” – My response – “You guys are experts, and know the market well, and I am open”. Believe me, I was asked at least half a dozen times the same question in a different way. Every single time I gave the same kind of response. Believe me, I had to train my mind to not spit out a number. It was tough. Here is the punch – If you did well in the interview, the hiring manager would to want to hire you and put a lot of pressure on HR to get you hired. HR would work with the hiring manager and come out with the best possible offer – their mission is to hire you within company guidelines and not lose you given that the hiring manager wants you badly! I used the above approach on my first job – it worked. The offer I received was 20% above my peers who had graduated with the same degree at that time. In addition, I received a sign on bonus and relocation package that my peers didn’t receive. About fourteen years later, I applied for positions outside my company. When I received the offer, I said I liked the offer, but maybe I would have expected slightly more. I was very polite. The next day, I got an offer with a few thousand dollars more with a sign on bonus, and nice relocation package. In the art of negotiation, the person who is desperate always makes the first offer. This is almost always true. If you answered the million dollar question, with your desired salary, you spoke first, and are at a weaker point from a negotiation perspective. Both as a college graduate and as an experienced hire, my jaw dropped when I saw what the offer was. It was way above and beyond my expectations. As a reader of Stretch A Dime, I want the best for you. Learn to negotiate. You work hard for a living. It is your job to be smart about negotiating your salary. Is there a drawback in my approach? I leave you to be judge for that question. An employer could low ball an offer – would you want to work for one that starts off low balling you on the offer? Honestly, I wouldn’t. If you enjoyed reading this post, please share it in social media. A good salary always makes a person happy. You have come up with an amazing post. Thanks for sharing. Thanks Robin! I am glad that you enjoyed reading the post and found it beneficial. This is really helpful point of view, and that’s very true about the person who is most desperate making the first offer. I’ve always felt that if I say I’m open this would read as ‘I don’t mind’ and they will give the lowest amount they can offer. What do you think? Welcome to Stretch A Dime! This is a great question. From a negotiation perspective, “I am open” means I want you to play your card first. “I am open” does not mean I will take anything you give. It means I am willing to negotiate, but I want you to make the first offer. As I mentioned, I have been and am a hiring manager. I am busy and have more than a full day’s worth of work everyday on my plate. If I am hiring, I am spending nights screening resume’s and carving out time during the day to interview and hire people. The last thing I have in mind is to low ball an offer to someone who is the right fit for the job. In all fairness, let us say, you receive a low ball offer. You still have the upper hand. You could reject it and walk away. You could go back and ask for more than what you had in mind. Perhaps, they may come back with a revised offer that meets what you had in mind or just surprise you and meet what you asked for. If a hiring manager sees you fit for the job, they want to look good when they make an offer and win your favor and loyalty. A well paid employee is happy employee, and a happy employee produces more. Any good manager with any bit of common sense would know this. If you got low ball’d and they don’t revise it based on your feedback, do you really want that job? If they are going to low ball you, my thought is they are going to low ball anyways whether you tell them a number or not. That may be a warning sign of what to expect once you take on the job. This is my opinion. Let me know what you think. The art of negotiation. Nice. I am fortunate in that I have never been in a position where I had to interview for a job. As you note, how you answer – or don’t answer – the question of salary is huge. It can have a significant impact on your life and livelihood for a number of years. Thank you, James! Yes, how we negotiate impacts our life in a tremendous way. Often times, people don’t realize. I was fortunate to stumble into this truth regarding negotiation early on in my life and it has paid off well.